Vinyl yellow with black letters. 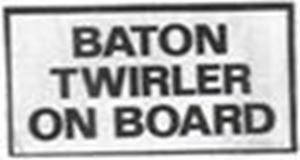 Powered by nopCommerce Brainstation Copyright © 2019 American Baton Company. All rights reserved.